Could you be smarter than you already are? Could you think faster, calculate quicker and remember more than you already do? 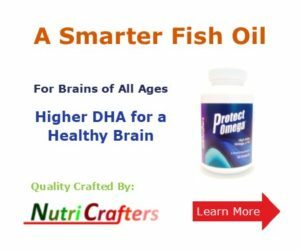 Can brain boosters work for me? The answer is undeniably YES! Modern science has identified dozens of “smart nutrients” that have powerful, positive effects on the human brain. And what’s even more exciting is the fact that they’ve identified the optimal time of day (or night) to take these brain booster nutrients so as to have maximum effect on cognition and brain function. The daily human sleep/wake cycle is the result of our internal biorhythm. What these scientists have discovered is that certain nutrients have a more pronounced affect on the brain and body when they are ingested in accordance with the human biorhythm. Thus, biorhythm brain boosters are not some fanciful form of science fiction, but instead a proven fact that could allow you to rebuild and protect your brain while you sleep, and learn better and remember more while you are awake. 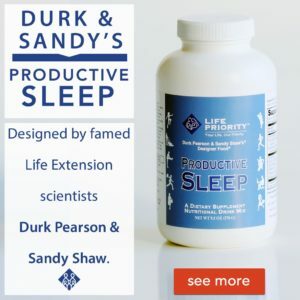 Of course, some “smart nutrients” are not bound by biorhythms and will promote and enhance cognitive function no matter what time of day they are ingested. But others have definitely shown to work better when taken in conjunction with the biorhythm cycle. 1. Anytime Brain Boosters—These enhance cognitive function no matter what time of the day they are ingested. Biorhythm brain boosting really is the next step in cognitive enhancement. Read on to see which smart nutrients should be taken when and how they work with your body’s natural biorhythm to make your brain function at optimal speed. Derived from: brown rice, whole wheat and oats, as well as seeds of plants such as coffee, apple, artichoke, peanut, orange, pineapple, and other fruits and vegetables. Ferulic acid is not a traditional Ayurvedic or Chinese remedy as such. It’s a natural extract of many plants, seeds, fruits, and vegetables. But it’s been isolated from a number of medications used in these ancient healing traditions. So these traditional medicines are undoubtedly deriving some of their effectiveness from ferulic acid. Researchers at Hallym University (South Korea) gave ferulic acid to mice for four weeks. After four weeks, they injected beta-amyloid—a peptide that causes oxidation and inflammation—directly into the mice’s brains. The control mice—the ones who had not received ferulic acid—showed between 19% and 35% decrease in their ability to perform certain tests. The mice given ferulic acid not only showed no decrease in performance, they showed improvement! Ginkgo is the most widely used nutritional supplement in the world. The reason for its popularity is its 5,000-year history of safe and effective use. According to records dating back to 2800 B.C., Chinese medical practitioners used ginkgo to treat symptoms of aging including memory loss, poor circulation, and general mental deterioration. The Chinese have also used it to bolster memory and improve overall intelligence. This long history is convincing proof in itself that anyone wanting to boost their cognitive skills and protect themselves against age-related mental deterioration should be using ginkgo as part of their daily supplementation plan. Ginkgo upregulates (increases) the expression of genes for the synthesis of transthyretin—a natural chemical that protects neurons by keeping oxidizing beta-amyloid away from them. They also found that gingko’s upregulation of genes had significant positive impact in the cortex of the brain. The cortex controls speech, memory, logical and emotional response, consciousness, interpretation of sensation, and voluntary movement. It also had a similar genetic upregulating effect in the hippocampus where learning is centered. But ginkgo’s protective action is not only due to genetic regulation. It’s also a powerful antioxidant and anti-inflammatory … both of which are major factors in mental (and physical) deterioration as we age. Ginkgo has also been shown to preserve mitochondria structure and function in aging animals. (Mitochondria are subcellular organelles that are the cells’ powerhouses.) And it also significantly extends mitochondrial life span! One of the hottest areas in medical research today explores the relationship between these subcellular powerhouses and human longevity. Research conducted at Harvard Medical School published in 2005 5 found that human mitochondria have evolved over time to allow us humans to lead longer, healthier lives without the scourge of neurodegenerative diseases. WARNING: Ginkgo leaves contain a neurotoxic compound called ginkgolic acid. Pharmaceutical-grade ginkgo extract must contain less than 5 parts per million of ginkgolic acid. 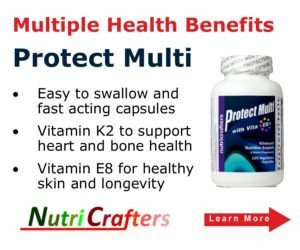 In the United States, many nutritional supplement companies do not sell pharmaceutical grade supplements. They do not tell you if their ginkgo contains the acceptable limit of toxic ginkgolic acid, so you have no way of knowing. Chinese moss has a long history of use in Traditional Chinese Medicine for treatment of dementia and age-related mental deterioration. The active factor is the alkaloid huperzine-A, which has been approved in China to treat Alzheimer’s disease and memory impairments. Chinese researchers showed that huperzine-A improves memory and learning. They tested huperzine-A on middle school students whose only complaints were poor memory and difficulty in learning. At the end of the study, the huperzine-A group scored significantly higher than the control group on standard memory tests. They also did dramatically better in their Chinese and English lessons. No side effects of any kind were noted. Huperzine-A’s exact mode of action is not yet completely understood. But researchers suggest it works by regulating a complex chemical system that controls nerve impulse transmissions. 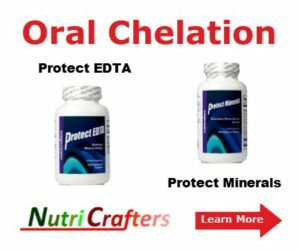 This system involves the neurotransmitter acetylcholine (ACh) and the enzyme acetylcholinesterase (AChE) that breaks down ACh. 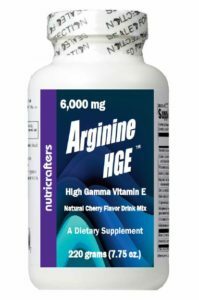 Huperzine-A has also been shown to help improve cognitive function in Alzheimer’s patients. In a double blind, placebo controlled study reported in 2002, huperzine-A was tested on 202 mild to moderate Alzheimer’s patients at the Peking Medical College Hospital in Beijing. Huperzine-A is safe to take with no side effects in low dosages. With increasing dosages, temporary side effects may include mild nausea, dizziness, and headache. Vinpocetine is made from vincamine, an alkaloid extracted from the periwinkle plant. Research has shown that vinpocetine is superior to vincamine because it has a greater range of clinical and metabolic benefits than vincamine without vincamine’s minor side effects. One double-blind study of healthy volunteers without any signs of dementia or Alzheimer’s disease showed incredible short-term memory improvement only one hour after taking 40 mg of vinpocetine. The reason for this huge improvement in such a short amount of time relates to the way vinpocetine works in the brain. Vinpocetine improves circulation in your brain, feeding all the cells including neurons. 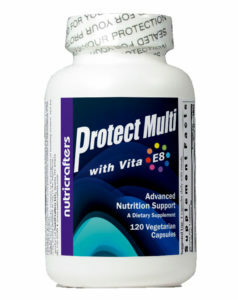 It ensures brain cells get the right amount of food in the form of glucose and enough oxygen to metabolize it properly. And finally, it assures that ATP (the molecule that converts glucose into energy) is functioning at peak performance. When your brain’s energy mechanism is functioning at peak performance levels, so will your brain … and so will you. Peak brain performance translates into improved memory and improved overall cognitive functioning. This is how vinpocetine makes you smarter! Vinpocetine is used to treat acute or chronic eye diseases of various origins and sensori-neural hearing impairment. The Gedeon Richter company has funded more than 100 hundred studies on vinpocetine. The incidence of side effects in humans using vinpocetine orally is less than 1% of a study’s participants, with the unwanted effects usually disappearing with continued use. Ashwagandha has been used in traditional Ayurvedic (Indian) medicine for over 3,000 years. It comes from a woody shrub and is used as a tonic to rejuvenate the body and counter the ravages of aging. It boasts a 3,000-year history of effectiveness and safety. Recent research confirms the effectiveness of ashwagandha in improving brain function, increasing learning ability, and prolonging memory retention. It also has a positive effect on reducing the impact of Alzheimer’s disease and senile dementia. Ashwagandha is a powerful antioxidant. 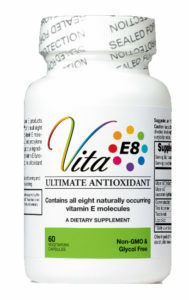 Antioxidants scavenge free radicals, providing a protective and restorative effect on all tissues including the brain. Research in India demonstrated that ashwagandha increases antioxidant activity in the brain, protecting neuronal tissue from free radical damage.12 Ashwagandha’s ability to scavenge free radicals from brain tissue makes it a valuable component in your smart nutrient arsenal to bolster brainpower. And as a welcome side effect, it helps protect you from free radical induced dementia and Alzheimer’s disease. While ashwagandha’s free radical scavenging properties have long been thought to be the mechanism behind its memory enhancing properties, recent research has dramatically expanded its powerful properties. Not only has ashwagandha been shown to protect brain cells from the damaging effects of beta-amyloid, but it also can actually regenerate neural networks already damaged or destroyed by beta-amyloid. This amazing property is now the subject of intensive scientific investigation, since a true “cure” for Alzheimer’s disease will require not only stopping the progressive deterioration of the disease, but also reversing the damage that has already occurred. Stress, anxiety, and depression are key factors in impaired brain function because they increase your body’s production of free radicals.13 Ashwagandha counters the brain diminishing effects of stress two ways. First, as a powerful antioxidant, it helps remove free radicals from brain tissue. Second, ashwagandha has been proven in research studies to be as effective as commonly prescribed drugs in reducing anxiety and depression. But it does not have any of the side effects associated with these prescription drugs.14 When you reduce stress and anxiety, you reduce the production of free radicals, which are mostly produced while you are awake. Thus, you can improve brain function by taking ashwagandha or a brain boosting formula that contains ashwaganda in the morning to counteract harmful free radicals. Ashwagandha has been used in Ayurvedic medicine to boost physical performance and stimulate sexual capacity. As an anti-inflammatory, it has been reported to be very useful in treating rheumatoid arthritis. Siberian and American ginseng are not true ginsengs. And while they have positive physiological effects, they do not have the same mode of action as Panax ginseng, which is true ginseng. Panax ginseng has higher levels of important brain-protective components called ginsenosides than either American or Siberian ginsengs. The ginsenosides in Panax ginseng have a variety of beneficial actions, including anti-inflammatory, antioxidant, and anticancer effects.19 The importance of anti-inflammatory and antioxidant compounds in preventing mental deterioration and improving overall mental acuity cannot be emphasized enough in this discussion. In traditional medicinal uses, ginseng is used to enhance physical, sexual, and mental performance and to increase energy and resistance to the harmful effects of stress and aging. Since panax ginseng possesses all these benefits, it’s best to consumer it in the morning for maximum effect. Ginseng also appears to reduce blood sugar levels and increase levels of high-density lipoprotein (HDL) cholesterol—the “good” cholesterol, which is an added health bonus. Merck Manuals Online Medical Library states that ginseng has a good safety record. Because Panax ginseng is a stimulant, the most common side effects are nervousness and excitability, which usually decrease after the first few days. Botanical names: Peonia suffruticosa, P.
The roots of peony plants have been used in traditional medicines in China and Japan for a wide range of physical problems. Paeoniflorin is one of the major constituents of peony root. Paeoniflorin has various biological actions including improving of memory 20 and antioxidant activity. 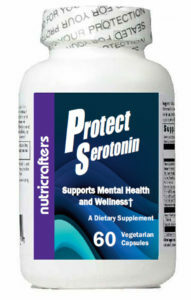 21 The importance of antioxidants in protecting against mental deterioration has already been discussed. Peony is traditionally used in Asia to treat muscle cramps, cardiovascular disorders, chronic viral hepatitis, and menstruation difficulties. Schisandra is a climbing vine grown not only for its ornamental and medicinal properties but also for consumption. Fruits, leaves, and bark contain the active components (called schisandrins). Schisandra has traditionally been used to treat viral and chemical hepatitis, but recent animal experiments and human studies have shown that it improves mental clarity, concentration, and coordination.24 So if you want to clear your mind and truly concentrate, a dose of schisandra upon wakening is a great place to start. Schisandra is used in Traditional Chinese Medicine to treat poor circulation and heart function, diarrhea and dysentery, fatigue, liver disease, mental and emotional illness, respiratory disease, sexual function, skin rash, and sleep disorders. Schisandra is a natural food substance and is safe for long-term use. It is uncommon for schisandra to cause side effects. However, it may cause upset stomach, heartburn, decreased appetite, and skin rash if taken in very large quantities. Australian researchers conducted a double blind, placebo-controlled trial reported in the journal Pharmacology in 2001. They found significant improvement in verbal learning, memory consolidation, and speed of early information processing in subjects after just 12 weeks of treatment with bacopa compared to the placebo group. These effects were not observed at the beginning of the trial or after the first five weeks. The active compounds enhance nerve impulse transmission and aid in repair of damaged neurons. Your brain spends the time while you are sleeping rebuilding and repairing itself. So taking bacopa a few hours before you go to sleep allows it to enhance enzymes called kinases that are responsible for rebuilding ATP (the cell’s powerhouse molecule). Kinases also stimulate neuronal synthesis, restoring lost synaptic activity. These multiple effects ultimately lead to improved nerve impulse transmission, 28 leading to faster learning and better memory retention. Centella is another nutrient that’s been used in India and China for thousands of years for a wide range of effects. Undoubtedly, you have heard of Centella asiatica by its more common name, gotu kola. Despite the similarity in names, gotu kola is not related to the caffeine containing kola nut. Centella asiatica is, in fact, a mild sedative. And because of this fact, Centella asiatica should be consumed prior to sleep. Centella has been used in Ayurvedic medicine to combat stress, anxiety, and depression; energize flagging mental powers; fight sterility; improve reflexes; rebuild energy reserves; and relieve high blood pressure. It has also been used to treat rheumatism, blood diseases, congestive heart failure, urinary tract infections, and hepatitis. Used for thousands of years to add zest and excitement to food, ginger is also one of the oldest natural remedies around. Ginger’s anti-inflammatory properties have been used effectively for thousands of years. Reducing inflammation in brain tissues improves brain function by protecting against damage to neuronal structures. Like bacopa, ginger should be consumed prior to sleep in order for it to work while your brain is focused on repairing neuronal damage. 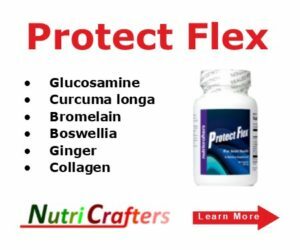 Ginger has been proven to be as effective as NSAIDs in reducing brain inflammation but without their side effects and toxicity that include liver problems, stomach problems, and other debilitating side effects. In addition to reducing inflammation in brain tissues, ginger also reduces it system-wide. This includes reducing inflammation in cases of both rheumatoid arthritis and osteoarthritis. Ginger is also recommended in Ayurvedic medicine for atherosclerosis, bronchitis, diarrhea, hypercholesterolemia, motion sickness, and ulcerative colitis. Magnolia has been used for over 2,000 years in Traditional Chinese Medicine and for at least 500 years in Japanese medicine to aid relaxation, increase energy levels, relieve anxiety, and counteract the effects of stress. Magnolia extract’s powerful anti-stress and anti-anxiety powers make it a powerful ally in fighting stressed-induced mental deterioration. Taking magnolia prior to sleep helps your body, and brain, relax. The syringin component of magnolia extract is a powerful anti-inflammatory and pain-relief component. Recent research shows that syringin works synergistically with magnolol 45 and honokiol 46 to minimize the damage done by inflammation in brain tissue (as well as throughout your entire body). So there you have it. 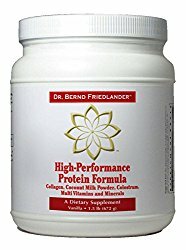 Twelve brain boosting nutrients explained and categorized for consumption based on human biorhythms. And while this may be a lot to absorb, the chart in the side bar makes it easy to understand which nutrients work best anytime, which work best during the day, and which work best taken prior to sleep all in conjunction with the natural state of human biorhythms. You really can be smarter then you are right now, and you can protect your brain from dreaded memory-robbing diseases like Alzheimer’s if you understand and consume biorhythm brain boosting nutrients. It’s never too late to start, and you’ll be better off for it, now and well into the future. Ji-Jing Yan, Jae-Young Cho, Hee-Sung Kim, Kyoung-Li Kim, Jun-Sub Jung, Sung-Oh Huh, Hong-Won Suh, Yung-Hi Kim and Dong-Keun Song. Protection against bold beta-amyloid peptide toxicity in vivo with long-term administration of ferulic acid. British Journal of Pharmacology (2001) 133, 89-96. Watanabe CMH, Wolffram S, Ader Pe, Rimbach G, Packer L, Maguire JJ, Schultz PG, and Gohil K. The in vivo neuromodulatory effects of the herbal medicine ginkgo biloba. Proc Natl Acad Sci U S A. 2001 June 5; 98(12): 6577–6580. Xiao XQ, Yang JW, Tang XC. Huperzine A protects rat pheochromocytoma cells against hydrogen peroxide-induced injury. Neurosci Lett. 1999 Nov 12; 275(2): 73-6. Hadjiev D, Yancheva S. (1976) Rheoencephalographic and psychological studies with ethyl apovincaminate in cerebral vascular insufficiency. Arzneim-Forsch, 26(10a): 1947-1950. Orosz E, Deak Gy, Benoist,Gy. (1976) Effect of ethyl apovincaminate on the cerebral circulation. Arzneim-Forsch, 26(10a): 1951-56. Dhuley JN. Effect of ashwagandha on lipid peroxidation in stress-induced animals. J Ethnopharmacol 1998;60:173-178.Bhattacharya SK, Satyan KS, Chakrabarti A. Effect of Trasina, an Ayurvedic herbal formulation, on pancreatic islet superoxide dismutase activity in hyperglycaemic rats. Indian J Exp Biol 1997;35:297-299. Li T, Zhang XJ. Role of oxygen-derived free radicals in stress -induced gastric ulceration [Article in Chinese] Sheng Li Xue Bao. 1993 Jun;45(3):286-91. Bhattacharya SK, Bhattacharya A, Sairam K, Ghosal S. Anxiolytic-antidepressant activity of Withania somnifera glycowithanolides: an experimental study. Phytomedicine 2000;7:463-469. Aphale AA, Chhibba AD, Kumbhakarna NR, Mateenuddin M, Dahat SH. Subacute toxicity study of the combination of ginseng (Panax ginseng) and ashwagandha (Withania somnifera) in rats: a safety assessment. Indian J Physiol Pharmacol. 1998 Apr;42(2):299-302. D’Angelo L, Grimaldi R, Caravaggi M, Marcoli M, Perucca E, Lecchini S, et al. A double-blind, placebo-controlled clinical study on the effect of a standardized ginseng extract on psychomotor performance in healthy volunteers. J Ethnopharmacol 1986;16:15-22. Mahato SB, Garai S, Chakravarty AK. Bacopasaponins E and F: two jujubogenin bisdesmosides from Bacopa monniera. Phytochemistry 2000;53:711-714. Chowdhuri DK, Pannar D, Kakkar P, et al. Antistress effects of bacosides of Bacopa monnieri: modulation of Hsp70 expression, superoxide dismutase and cytochrome P450 activity in rat brain. Phytother Res 2002;16:639-645. Singh RH, Singh L. Studies on the anti-anxiety effect of the Medyha Rasayana drug, Brahmi (Bacopa monniera Wettst. )–Part 1. J Res Ayur Siddha 1980;1:133-148. Elangovan V, Govindasamy S, Ramamoorthy N, Balasubramaanian K. In vitro studies on the anticancer activity of Bacopa monnieri. Fitoterapia 1995;66:211-215. Singh HK, Dhawan BN. Neuropsychopharmacological effects of the Ayurvedic nootropic Bacopa monniera Linn. (Brahmi). Indian J Pharmacol 1997;29:S359-S365.Moser MB. Making more synapses: a way to store information. Cell Mol Life Sci. 1999;55:593–600. Mook Jung I, Shin JE, Yun SH, Huh K, Koh JY, Park HK, et al. Protective effects of asiaticoside derivatives against beta amyloid neurotoxicity. J Neurosci Res. 1999;58:417–25. Kartnig T. Clinical applications of Centella asiatica (L.) Urb. Herbs Spices Med Plants. 1988;3:145–173. Judith Horstman. Ayurvedic Herbs. Arthritis Today, 1997. Kuribara H, Stavinoha WB, Maruyama Y. Honokiol, a putative anxiolytic agent extracted from magnolia bark, has no diazepam-like side effects in mice. J Pharm Pharmacol 1999 Jan;51(1):97-103.Hong-Yen Hsu, Chau-Shin Hsu. Commonly Used Chinese Herb Formulas. 1980. Oriental Healing Arts Institute, Long Beach, California. Proc Natl Sci Counc Republic China B 13 (4) pp 307-313. October 1989. Biochem Pharmacol 60 (3) pp 433-440. August 2000. Neurosci Lett 186 (1) pp 49-52. February 1995. American Journal of Chinese Medicine 28 (3-4) pp 379-384; 2000. Wang JP, et al., “Anti-inflammatory and analgesic effects of magnolol,” Archives Pharmacology 1992; 346(6): 707-712. Choi J, Shin KM, Park HJ, Jung HJ, Kim HJ, Lee YS, Rew JH, Lee KT, “Anti-inflammatory and antinociceptive effects of sinapyl alcohol and its glucoside syringin,” Planta Med. 2004 Nov;70(11):1027-32. Lo YC, Teng CM, Chen CF, Chen CC, Hong CY. Magnolol and honokiol isolated from Magnolia officinalis protect rat heart mitochondria against lipid peroxidation. Biochem Pharmacol 1994 Feb 9;47(3):549-53. Lo YC, Teng CM, Chen CF, et al: Magnolol and honokiol from Magnolia officinalis protect rat heart mitochondria against lipid peroxidation. Biochem Pharmacol 1994;47:549-553.